Valentine's Day is only two weeks away already! 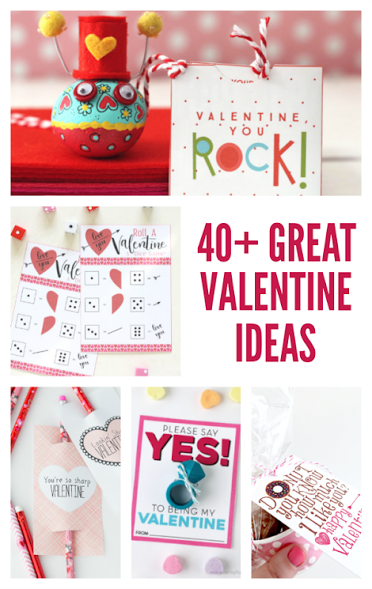 I have teamed up with other bloggers to give you lots of fun ideas for Valentine's Day. If you have young kiddos, they probably still have parties at school or like to pass out Valentine cards to their friends. 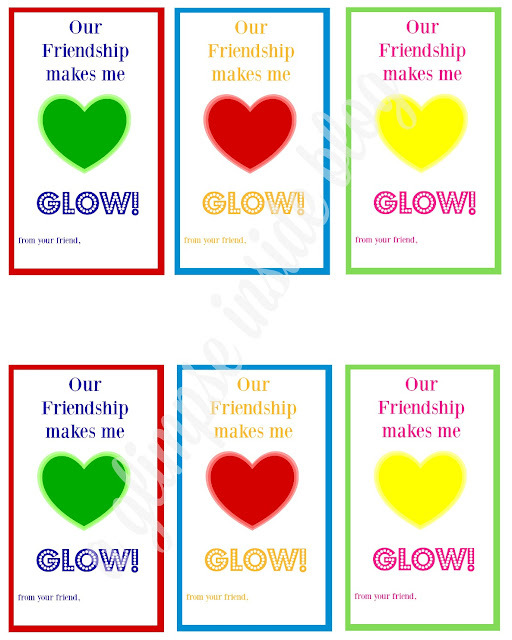 Today, I am sharing a simple Valentine card idea that is perfect for boys and girls! You can download your copy of the cards to print off below then just cut them apart. I printed the cards off onto thick white 8 1/2x 11 card stock so they'd be sturdy. I bought the thicker glow sticks that can be a necklace so they already had a hole so I just punched a hole into the corner of the card and tied the two together with some twine. 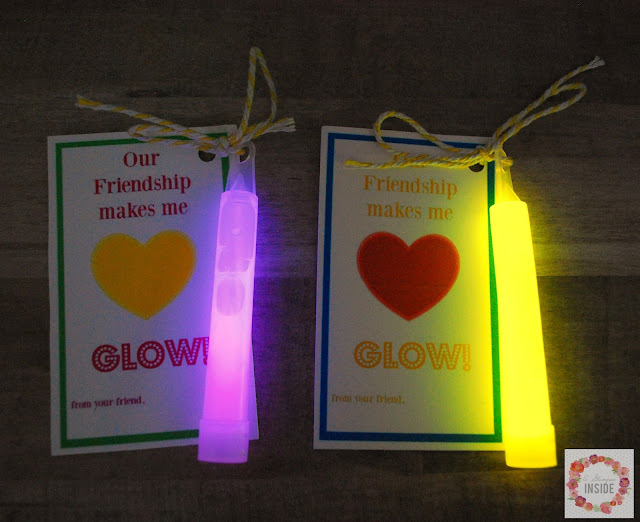 If you buy the thin glow sticks you can punch two holes in opposite corners of the card and weave the stick through the holes. 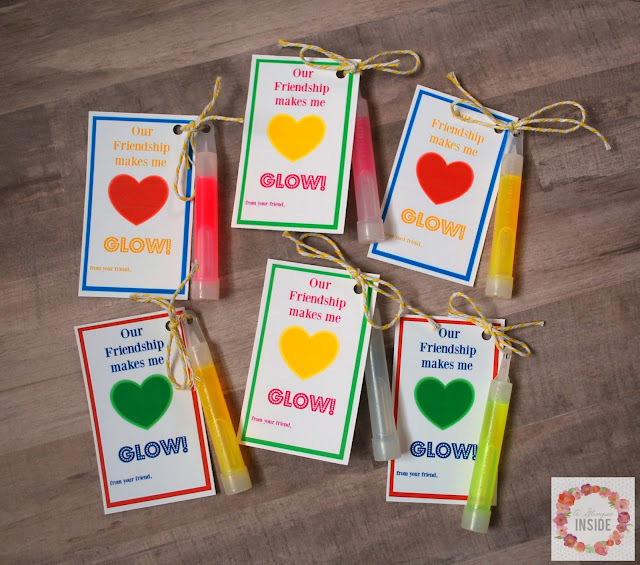 Place a piece of tape on the back of the card over the glow stick to keep it from slipping out and you are done! What little kids won't love to get this cute Valentine?! Grab your copy of the Valentines below. If the widget isn't working you can also download them here. 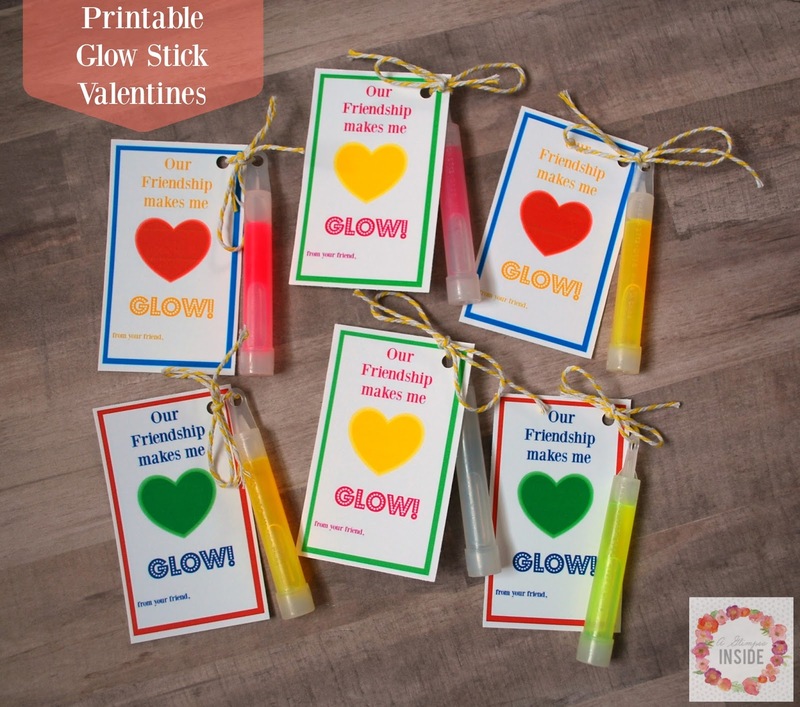 I have also teamed up with some other bloggers to give you a fun Valentine's Day roundup. Be sure to check out all the amazing ideas below!